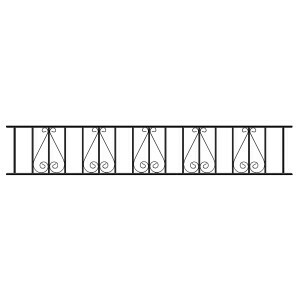 The fantastic Stirling range of gates and railing come in a variety of sizes and forms so you’re sure to find the products to make your home stand out. Making the right impression can be important, whether you are wanting to improve the kerb appeal of your home, increase security or impress the neighbours, this design is the way to do that. The traditional wrought iron appearance and decorative scrollwork design create a stunning visage for anyone approaching your home. The Stirling range’s solid steel framework will also give you the added security you require and will help to control the flow of traffic through your garden and the world outside. The Stirling Range is eligible for free delivery across most of the UK and optional gate posts can be added if required. 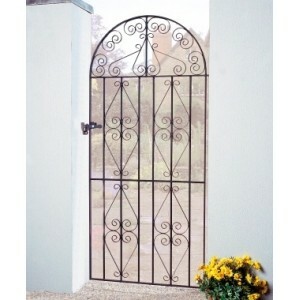 The Stirling Bow Top Gate is constructed using solid steel giving a traditional wrought iron appeara.. 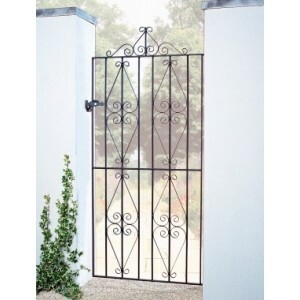 The Stirling Double Gates are constructed using solid steel for a traditional wrought iron gate appe.. 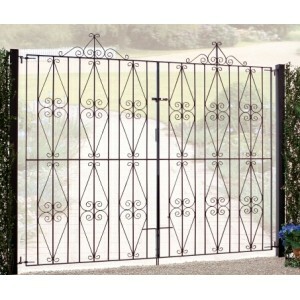 The Stirling Single Gate is constructed using solid steel for a traditional wrought iron gate appear.. 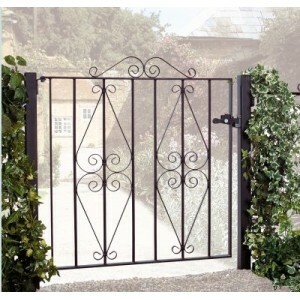 The Stirling Tall Double Gates are constructed using solid steel for a traditional wrought iron gate.. 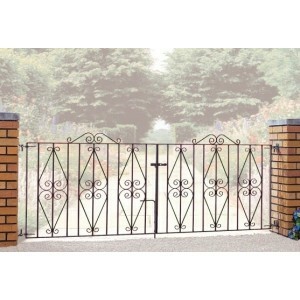 The Stirling Tall Single Gate is constructed using solid steel giving a traditional wrought iron app..